Arab Innovation is an innovation festival that sets the stage for the largest gathering of innovators, entrepreneurs, speakers, investors, the media, and more. It is by far the only show of its kind in the region that brings the world’s most advanced innovations and technologies shaping the future to 10,000 worldwide visitors. Held in February, during the UAE’s innovation month, and under the patronage of His Highness Sheikh Ahmed bin Mohammed bin Rashid Al Maktoum, Arab Innovation is instrumental in highlighting UAE’s number one ranking in the Arab world and 35th in the Global Innovation Index. This three-day multifaceted event across four main pillars which are: the expo, summit, a start-up zone and an awards ceremony. In 2018, the Expo will unveil breakthrough ideas from worldwide innovation in six sectors which are: Smart Government, Transportation, Healthcare, Energy and Utilities, Technology, and Financial Services. The Summit will feature an international line-up of thinkers, speakers, and experts who will share their wisdom, unconventional ideas and compelling case studies. The Start-Up Zone is where over 200 early stage companies and entrepreneurs will showcase their novel concepts, enthusiasm and technology to eager investors and venture capitalists. 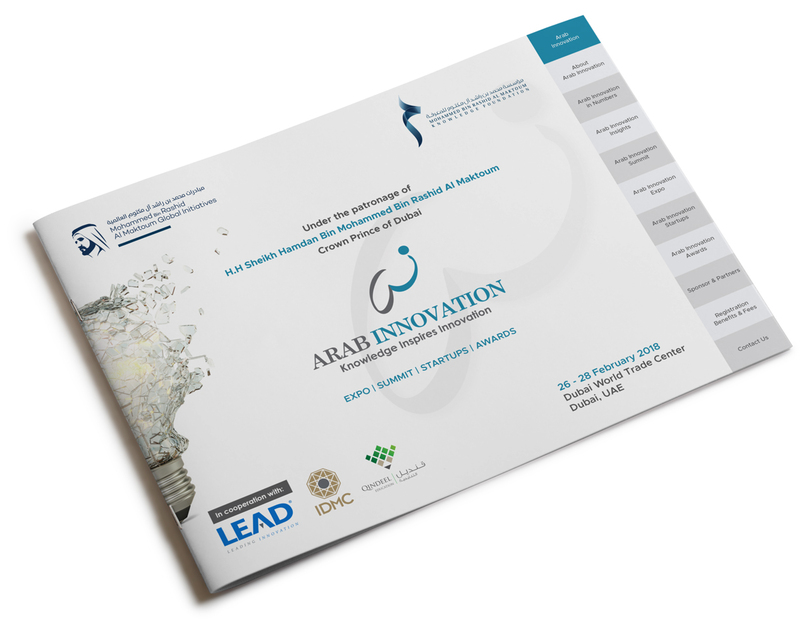 And finally, in a glittering ceremony, The Arab Innovation Awards will honor the most innovative companies who have banked on ingenuity and originality to deliver successful results with 14 awards, 2 awards for each sector and two start-up awards. Arab Innovation presents an unmissable opportunity to discover future trends, brush shoulders with thought leaders and decision-makers, find investors for innovative ideas and further your business objectives.